EA SPORTSTM unveiled the complete music track listing for EA SPORTS SSXTM, featuring 36 licensed tracks by established and upcoming artists and 10 original tracks composed specifically for the game’s Deadly Descents. In addition, these original 10 tracks – created by The Qemists, Camo & Krooked, Raffertie, and Amon Tobin – are now available for download as part of the ‘SSX’ soundtrack via iTunes®. Austrian duo Reinhard Rietsch and Markus Wagner, otherwise known as Camo & Krooked have quickly become one of the hottest production outfits in Europe. Working together since 2007 they have been hailed as “one of the biggest talents in D&B” by the mighty Grooverider and have gone on to fulfill this accolade by signing to Hospital Records in 2010, and winning three awards in the D&B Arena Awards 2011, for "Best Producer", "Best Video" and "Best Album". The game will come complete with exclusive original tracks and remixes from artists including Amon Tobin, Pretty Lights, The Qemists, Camo & Krooked and more, as well as licensed tracks from the likes of Foster The People, Skrillex, DJ Shadow, Digitalism and others. Gamers will have the ability to upload their own music to SSX to create custom playlists for menu and in-game music. 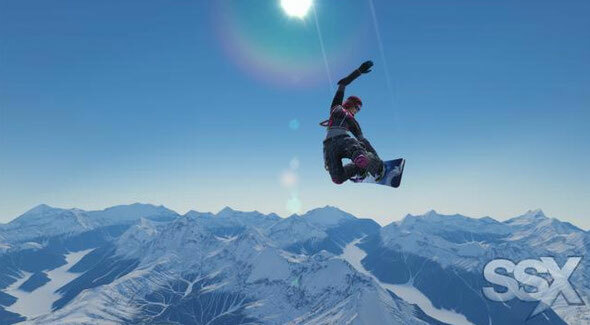 SSX also features a dynamic music remix tool that will automatically remix licensed tracks and custom music based on the player’s actions and performance in-game.